My wife and I landed in Sao Paolo, and checked in at Hotel Unique, which is a really cool hotel that is in the same group as our hotels. We spent a few days there, met friends and ate good food. We walked around a lot in Sao Paolo. I managed to walk 2-3 miles. Then I was probably most tired. I had pain in my legs. It was many years ago. Life had returned for real. I was not aware of any of my old MS symptoms. Absolutely none at all. This was too good to be true. This was four weeks after CCSVI surgery. The biggest problem was that I was untrained and my legs were soared. I had not moved around this much for many years. Next stop on the trip was Itacare in Bahia. 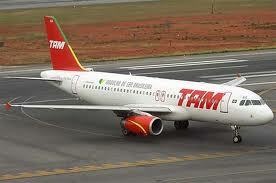 It is a two hour flight from Sao Paolo. The airport in Ilheus is one of the shortest in the world to land with an Airbus 319. The morning weather was a bit unstable, it was blowing and raining with low cloud. There are high mountains around the runway that ends at the Atlantic beach. After a couple of hours in the plane at the airport did take-off. The weather conditions was better in Ilhéus. It's only twenty minutes flying time to get there. The same story repeats itself twice, then the pilot gave up. We had a relaxed day at home. He weather was good but cold. I sat out in the sun for a while. The wind was cold, and the snow was still four inches deep on the ground. It was still the first day of the year as the sun warmed a bit. I have known a little frayed in recent days. I suspect that I eaten too little. Today I hit big, with beetroot and chevre as a starter. For the main course a big chicken breast and rice. Everything was naturally organic and wholegrain mm. Good day, stomach is full. Now I will go to bed. Tomorrow I will take out my Segway on a tour.